Career fair season is just around the corner- can you believe it? There’s a contagious energy prevalent on college campuses and it’s encouraging to meet students who are eager to connect with your organization. However, there’s also an exhaustion that accompanies career fair season. Brought on by miles traveled and answering the question, “so, what are you hiring for” too many times to count. Whether you have the energy of the first fair of the season, or the exhaustion of the 10th, it’s critical to put your best foot forward. 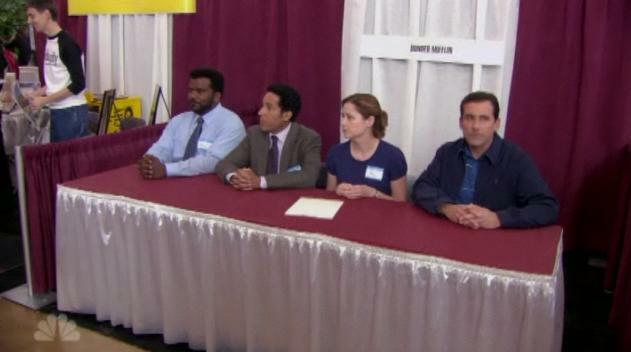 To help your organization shine this fall we’ve compiled a list of 8 things employers shouldn’t do at career fairs. 1. Set up after the fair has started or tear down before it’s over. I get it. You’re in a college town and maybe you took advantage of the cheap drinks when you got into town the night before. There is no excuse for showing up late though! Also, be cognizant of the fair end time when planning travel arrangements. If a student finds your booth empty, it’s not a great impression. 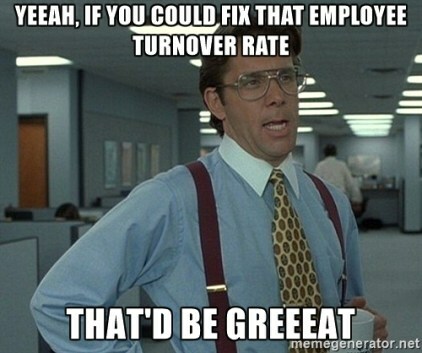 Voluntary turnover is the number one factor influencing workforce planning needs according to the most recent AgCareers.com HR Review report. Industry employers cited voluntary turnover as most significant at 74.26%, well above things like retirements (38.61%) and recruitment difficulties (48.51%). It has always been a best practice to focus on retaining your A player employees, but it sounds like our industry human resource leaders are emphasizing the challenges they face there. Let’s dive into three common reasons good employees make the decision to leave their employer, along with potential safeguards to hopefully reduce departures. When we keep someone who is unproductive and underperforming on a high performing team, we are rewarding (paying) for mediocre. Our A players can quickly become frustrated by the lack of results and dead weight, and they’ll begin looking elsewhere. Safeguard against this scenario by ensuring performance metrics are clearly outlined and measured, regardless of the role. This simple (but often surprisingly overlooked) action can serve to place accountability on the manager and team member, so performance and team dynamics can be addressed before good employees get fed up and leave. Are you talking in your own private HR language at work? Do only you and your immediate coworkers, or closest associates understand the linguistics? Candidates sometimes feel they are trying to decipher a foreign language when reading a job posting/description or interviewing with a potential employer. Here are some tips to keep in mind when writing and speaking to candidates without using too much HR language. Recruiters and hiring managers should carefully avoid HR-speak when communicating with candidates and new hires. 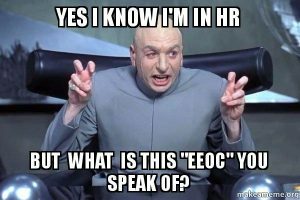 ATS, EEOC, ESOP, AAP, ERG, EVP… human resource acronyms that not all candidates know off the top of their head. In addition, familiar terms discussed in HR, such as onboarding, company culture, performance assessments, and at-will employment might be just as alien to the general candidate.